How pretty she looks...all dressed for a party. 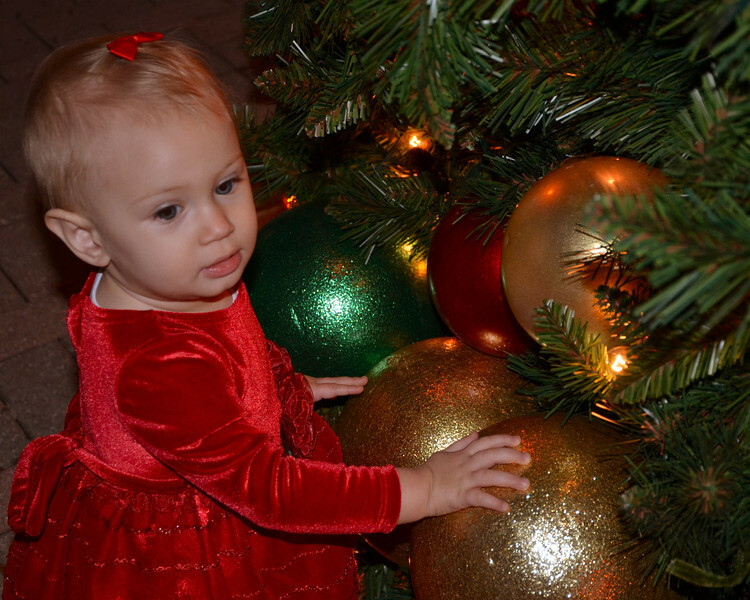 Those are mighty big christmas balls with little Izabella! Wonderful festive Christmas shot, would make a great card.